How much is Sam Neill Worth? 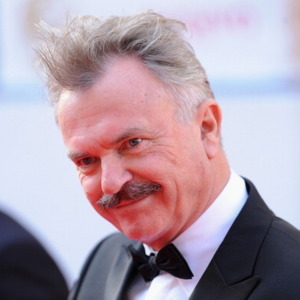 Sam Neill net worth: Sam Neill is a Northern-Irish born, New Zealander actor who has a net worth of $18 million. Sam Neill is probably best known for playing the lead role in Jurassic Park. Outside of Jurassic Park, Neill has appeared in dozens of TV shows and films over a career that has spanned several decades. Sam's career began in his home country of New Zealand as a director. He was then cast in the lead role of a movie called Sleeping Dogs. This led to a new career as an actor. Neil would soon appear in the Australian film My Brilliant Career, which led to his being selected to play the part of Damien in The Omen III: Final Conflict, which was his first big role in the United States. He was even one of the candidates to serve as Roger Moore's replacement as Agent 007 James Bond in the series of Bond films for MGM, but lost out to actor Timothy Dalton. From there, Neill has appeared in myriad Hollywood films, such as The Hunt for Red October, Dead Calm, Memoirs of an Invisible Man, and In The Mouth of Madness. Most notably, he got the lead in Jurassic Park, which went on to be a big blockbuster success and it and its sequels (which Neill also appeared in) continue to be popular and successful to this day.